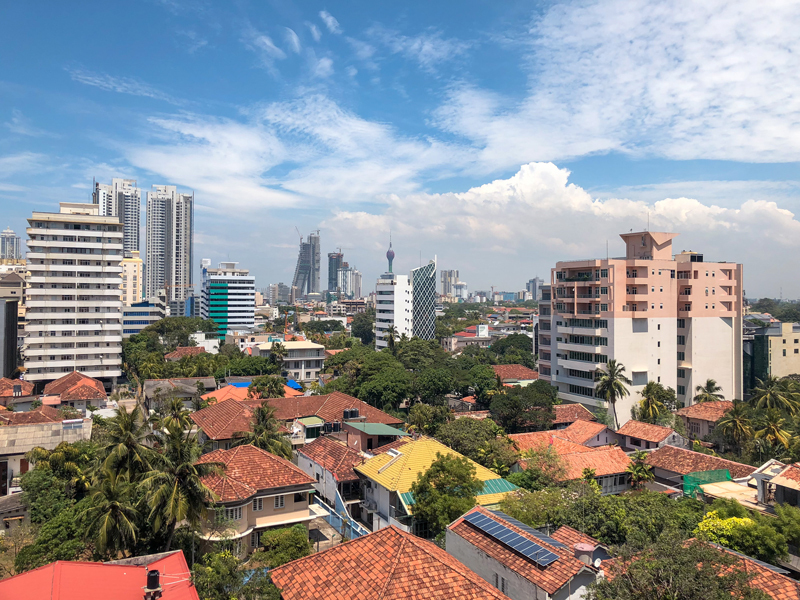 In what can best be described as modest growth, Sri Lanka’s economy expanded by just over four percent in 2017, amid negative headwinds and notable inflationary pressures. GDP growth for the year was fuelled mainly by the services sector, as the country’s core agriculture sector battled adverse weather and consequently reported a contraction for the second consecutive year. On the external front, the country continued to struggle under the weight of a burgeoning trade gap, as the benefit of low oil prices was offset by increased imports of food and petroleum. This scenario was further exacerbated by the ongoing decline in worker remittances – the country’s largest foreign exchange earner. Nonetheless, unequivocal positives were also evident as consistently high prices in the global market helped Ceylon Tea regain its spot as the second-highest foreign exchange earner for 2017. The prospects of the country’s apparel sector also showed a marked improvement on the back of the reinstatement of the Generalised Scheme of Preferences trade arrangement, while the lifting of the EU fishing ban earlier in the year added a boost to the local perishable export industry. FDI – led by China – also witnessed a slight increase in 2017. In yet another positive sign, the Sri Lankan rupee stayed relatively stable, depreciating only two percent against the US dollar throughout the year. Meanwhile, commendable progress shown by the Sri Lankan Government to tighten fiscal and monetary policy controls enabled the country to secure the third and fourth tranches under the IMF’s Extended Fund Facility (EFF), with the total EFF allocation to Sri Lanka reaching $759.9m as of December 31, 2017. Sri Lanka’s banking sector, which has been on a firm upward growth trajectory for the past few years, continued to show remarkable resilience and adaptability in response to changing market dynamics. Despite challenges faced by certain sectors of the economy, credit extended to the private sector by banks has been on the rise, as was the case in 2017 as well. In parallel, sector-wide assets have also grown. Despite the increase in total assets, however, sector-wide asset quality remained strong, even registering a slight improvement in 2017 over the previous year. On the other hand, sector-wide borrowing declined in the wake of high interest rates. Nevertheless, the sector remained well capitalised, with a healthy liquidity position being maintained throughout the year. The average statutory liquid assets ratios stayed well above the minimum statutory requirement of 20 percent, while the ratio of liquid assets to total assets stood at 28.3 percent. Meanwhile, new policy directives issued by the governing body, the Central Bank of Sri Lanka, saw all licensed commercial banks begin the journey towards adopting the Basel III regulatory minimum capital standards, with effect from July 1, 2017. The move is aimed at strengthening the capital position of all licensed banks in the country and enabling them to comply with the stringent requirements of the Basel III standards. It is expected that this will in turn increase the capacity and overall stability of the country’s financial system. Against this backdrop, Sampath Bank made steady progress in its strategic aim to be a growing force in Sri Lanka’s financial services industry. Operating through an island-wide network of 229 branches and 391 ATMs, over the years Sampath Bank has continued to break new ground through its range of products and services and its multichannel business model, bringing prosperity to generations of Sri Lankans. Employing more than 4,000 people, supporting nearly 2.6 million customers, and paying dividends to more than 17,440 shareholders and many millions in taxes, Sampath Bank remains fully committed to securing and enhancing the financial wellbeing of the people of Sri Lanka. Marking 30 years in the business, the bank is proactive in its quest to discover opportunities in the face of every challenge. It is this unyielding determination and sense of purpose that allowed Sampath Bank to deliver yet another stellar performance across the board in 2017. The banks’ advances portfolio grew at a cumulative average rate of 22.5 percent – a much faster pace than the industry growth average of 16.1 percent for 2017. For the first time, annual gross loan growth exceeded LKR 100bn ($633m), which was driven by a 26.8 percent increase in corporate lending, mainly to high-growth sectors, while the SME and retail books also grew by 19 percent. Notwithstanding the progress in its credit portfolio, Sampath Bank succeeded in maintaining credit quality: the bank’s non-performing loan ratio was 1.64 percent in 2017, compared with the industry average of 2.5 percent for the same period. Meanwhile, spearheaded by aggressive deposit mobilisation strategies, the bank’s deposit portfolio kept growing at a rate of 22.1 percent, higher than the industry average of 17.5 percent. As a result, market share too edged up to 8.5 percent as of the end of December 2017, up from 8.2 percent a year prior. The strong operating performance combined with sustained cost efficiencies produced record results for the year. Profit after tax rose by 32.7 percent year-on-year to surpass LKR 12bn ($76m) for the first time in the bank’s 30-year history. Our balance sheet remains healthy and is supported by a stronger capital base, liquidity levels and asset quality, all of which are well within regulatory requirements. It is evident from these excellent financial results that the bank is on the right track and has the apposite strategy, culture, product suite and geographical footprint to deliver consistent and sustained value to stakeholders. Although our banking franchise is stronger than ever, we are nonetheless acutely aware that sustaining our position in the longer term will largely depend on how agile and innovative we are as a bank. We recognise that with changing customer behaviour, the advent of smart devices and the popularity of social media, conventional brick-and-mortar banking has been forever altered. Further, we operate in an increasingly competitive environment, made more so in recent years by the advent of telecommunications companies offering financial solutions. Given these changing dynamics, the bank understands it is vital to align strategies and develop the requisite shifts in behaviour that are necessary to achieve the desired customer outcomes. Anchored to our vision to be a world-class bank, in 2017 we took a quantum leap to realign our business in face of a changing world. We embraced a three-pronged approach to stay ahead of the curve. The first prong of this strategy is to fuel corporate business growth through sector-specialisation. The second is to raise the standards of consumer banking and reach out to as many individuals and SMEs as possible across Sri Lanka. Finally, we aim to position Sampath Bank as the leading fintech solutions provider in the country. Aiding in this strategy is our new structure, which offers more fluidity, thereby enabling the bank to articulate its value proposition to customers in a more integrated manner. The ensuing changes will create a solid foundation from which we can improve scalability in an ever-changing world. Stemming from this, widespread changes were made to the bank’s corporate banking model in order to augment advisory capacity and maintain industry leadership in fast-growing sectors of the economy. Meanwhile, sector specialisation was introduced as a means of deepening the penetration to priority sectors such as agriculture, apparel, manufacturing and leisure. In parallel, the operational architecture of our consumer banking branch was revamped with a strong emphasis on channel diversification to grow the SME segment. Furthermore, to achieve the level of digital sophistication required of a world-class bank, further investments were made to replace the bank’s legacy systems with more versatile core infrastructure. The move forms part of a wide-ranging digital strategy through which Sampath Bank expects to take the lead in reshaping the future of the digital banking landscape in Sri Lanka. The focus for 2017 was centred on innovating purposefully for the benefit of our customers, prompting efforts to systematically expand digital channels. This also resulted in further integration of physical and electronic distribution channels to facilitate a seamless customer experience across multiple touchpoints. For example, groundbreaking products such as Sampath PAYAPP and Sampath Payeasy were rolled out in early 2017 to give customers greater control and complete freedom to manage their financial matters, even when they are on the move. Judging by the market uptake for these products, it is obvious that modern customers indeed want a banking service that is seamlessly integrated into their everyday lives. Increasing our contribution to the growth and development of Sri Lanka and its people is one of Sampath Bank’s foremost goals for the future. Crucially, this means adapting the bank’s business model to keep pace with customers and their changing needs and expectations. In setting Sampath Bank apart from its peers, our greatest differentiator will be the quality of our customer value proposition, which will be pivoted on product innovation, competitive pricing and unbeatable customer experience. Therefore, triggering the next growth phase would require the bank to act like a start-up, making it possible to respond and innovate quickly and efficiently in order to deliver simple, fast and effective banking that is relevant to the digital age.